Happy Dhanteras “Festival of Wealth”, beginning of Diwali “Festival of Lights”. Emergence of Dhanvantari and Lakshmi from the Milky Ocean. Dhanteras Trayodashi, the thirteen day of the waning Moon of the months of Kartik (October/Nov), marks the beginning of one of the most important Festivals in the Vedic tradition: : Diwali. Today is called Dhanteras, a day of great importance to the trading class. In fact during Dhanteras people flock to the jewelers and buy gold or silver jewelry or utensils to venerate the occasion of Dhanteras. 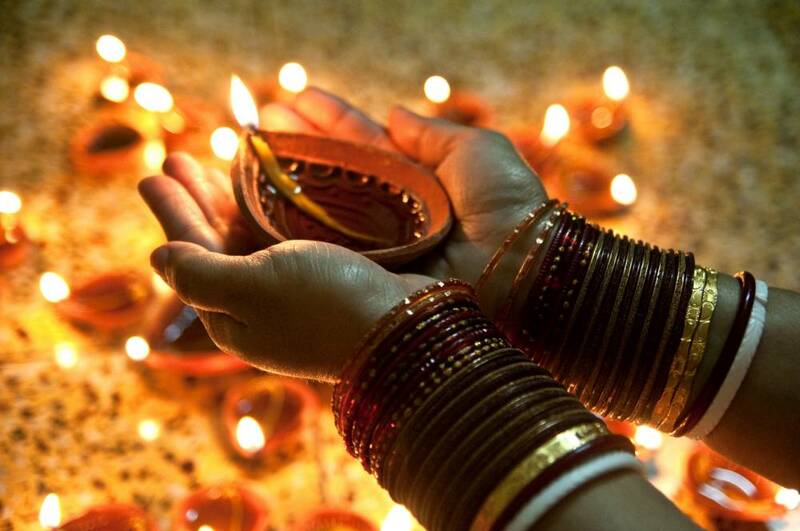 Many wear new clothes and wear jewelry as they light the first lamp of Diwali. The name Dhanteras comes from the word ‘Dhan’ literally means wealth and ‘Tera’ comes from the date 13th. Diwali or Deepawali “Festival of Lights and Wealth” (marks the astronomical turn of season from Autumn to Winter) is celebrated over five days and peaks on day three , New Moon, with Laskhmi puja, offerings to the Goddess of Abundance. Through the mythology narrated in the Puranas we will try to understand why this Festival of Light comes at this time of year. 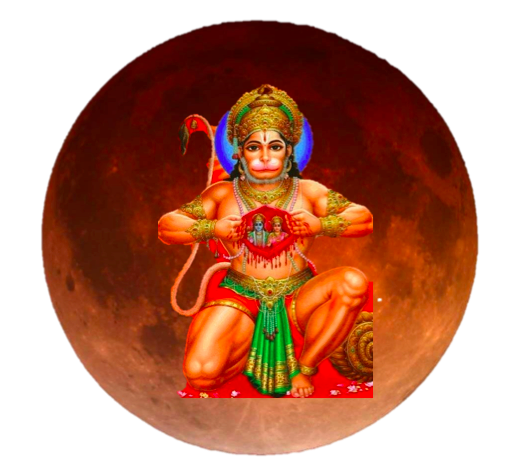 Happy Sharad – Lakshmi Poornima / Full Moon- Ivy or Hunter Moon/ last SUPERMOON of 2015! 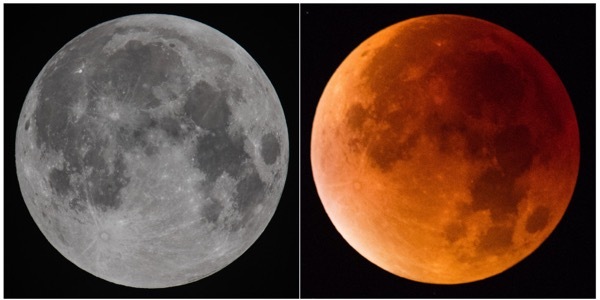 Happy Sharad also called Lakshmi Poornima / Full Moon- Ivy or Hunter Moon/ last SUPERMOON of 2015! Tonight the energy of the moon shining is considered particularly benevolent as the moonlight rays represent AMRITA/nectar pouring straight from the Goddess of Abundance Lakshmi. Spring Full Moon – Holi Yogic Salad! Happy Full Moon – Holi, the festival of colour, love and merriness that is celebrated at the end of the winter season on the last full moon ( Purnima) day of the lunar month Phalgun, which usually falls in March, sometimes in late February. 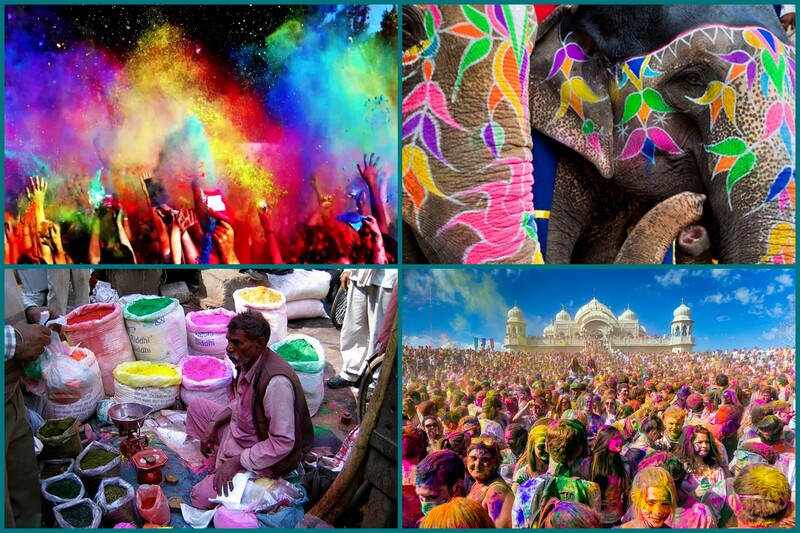 The festival honours the arrival of spring in the form of a carnival of colours, where participants play, chase and colour each other with dry powder and coloured water. Spring is symbolic of growth and renewal and nature begins to bloom and blossom in a multitude of colours. 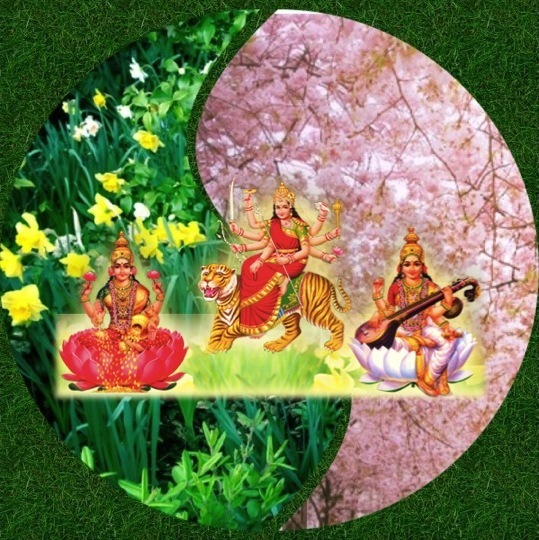 Autumn Equinox Sadhana: Inner Revolution with Durga’s fierce vigour. 2.29 am GMT today: Autumn Equinox. New Moon Approaching. Blessings. I have been ritually honouring the turning points of time ( beginning of a new month, cross-quarters , Equinoxes and Solstices ) on the wheel of the year since an early age – my teens! – in a very spontaneous and nearly religious way, that was dictated only by that inherent connection with nature that we all have as kids. All transitions in and out of the season are cardinal points of the year and carry a special energy. We can consciously decide to embrace and embody these transitions ( Vinyasas of the Sun and the Moon !) as a ritual, to honour the cosmological flowing of time. Or we can decide to ignore this intelligence built into the cosmos and isolate ourselves from it, going against the grain. Nature is intrinsically intelligent. Consequentially if we learn to attune our inner clock to its universal micro (hourly/ daily/weekly/ ) and macro cycles ( season/yearly/solar and monthly /lunar) we maximise our chances to live our lives to the fullest, in a happy, enriching and harmonious fashion. Autumn calls for renewal in the form of letting go. We are urged to reorganise our inner and outer space as thoughts , routines, relationships, and projects . This season calls for inner focus and organised effort, we get to gather all our inner strength and skilfully prepare to approach the end of the year. 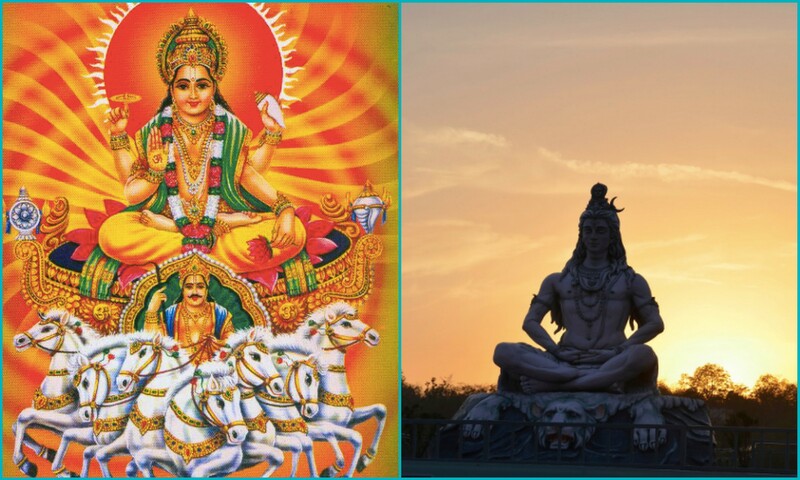 As this is quite a turning point we get an extra boost of power from the mighty Durga, The Invincible, that represents the courage that comes from staying connected to one’s heart, the impulse to protect ourselves from negative habits and the force to eradicate them and replace them with good ones.